I love this flower although I know it's very poisonous. I used to cut some and bring indoors for a window sill vase but I'm no longer tempted. I finished all of my meds and as the doctor mentioned, I should be better by then, well he was right. I'm up and about more and started doing some of my neglected housework. Hans was doing the cooking and made sure I ate although, swallowing was very hurtful. With the rain mixed with snow, I rather stay indoors a bit longer. Tags snow, flower, wet, monkshood, pics_by_bruni, cold_and_windy. This is a really pretty flower. I have never heard of it. So glad you are feeling better. 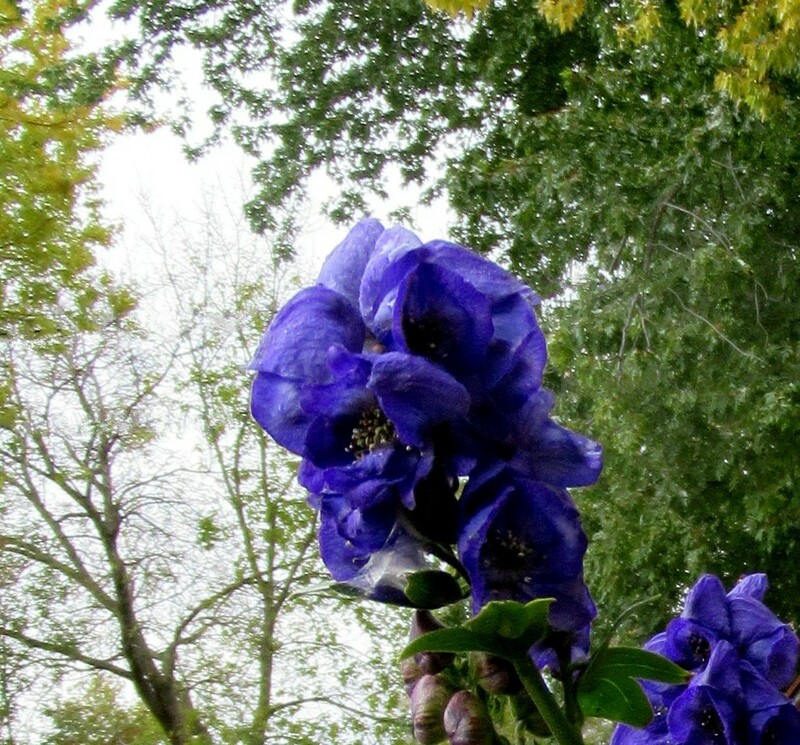 Very pretty; reminds me of my mother, she always had some of these monkshood in her garden. I'm sorry to hear you were feeling under the weather but so glad you're back to health now. The flower seems to be a good celebration! Great shot of this beautiful flower. Amazing blue color. Fav. Strong winds, always ahead, are our mountains. A gorgeous flower indeed! I'm so glad you're on the mend. Good to hear you're feeling better now! Beautiful flower!